Looking for a career in the offshore industry? Barry Graham Oil Service offers opportunities for employment on vessels to applicants who seek to work among the most qualified and skilled professionals in the business. Health and safety are priority for our personnel. Please read our job descriptions, and click on the link to apply online if you wish to join the BGOS team. Responsible for performing duties and tasks as directed by the Captain and/or Port Captain. The Deckhand will actively participate in all emergency drills conducted on the vessel, practice safety at all times, comply with all BGOS regulations and procedures, and strive to give prompt professional service to the customer leasing the vessel. 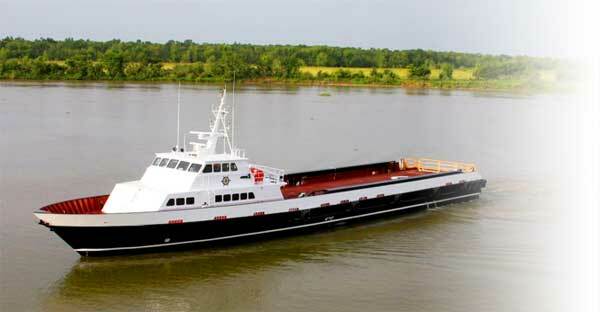 In accordance with 33 CFR 104.205, the Captain is duly authorized by the U.S. Coast Guard for the following: the safe and efficient operation, security, and maintenance of the vessel; the safety and conduct of the crew and passengers; and providing prompt, professional service to the customer leasing the vessel. Additionally, the Captain is encouraged and expected to develop a sense of "team spirit" among his/her crew, and to be cooperative and pleasant with all BGOS employees and customer personnel, and also to give guidance and direction to crewmembers when needed. ©2016 Barry Graham Oil Service, LLC.